Advanced Detailing Corp. - Lincoln Center Development Project. In 2010 won the National Award for Innovative Design in Engineering and Architecture with Structural Steel for the projects greater than $75 Million. For details visit American Institute of Steel Construction site.Advanced Detailing Corp provided structural steel shop drawings for HSS frames and built up corner columns to support curtain walls. Please click on the link below for more information.Lincoln Center Development Project. Shop drawings for HSS frames to support curtain walls. Lincoln Center Development Project. In 2010 won the National Award for Innovative Design in Engineering and Architecture with Structural Steel for the projects greater than $75 Million. For details visit American Institute of Steel Construction site. Advanced Detailing Corp provided structural steel shop drawings for HSS frames and built up corner columns to support curtain walls. Please click on the link below for more information. Lincoln Center Development Project. Shop drawings for HSS frames to support curtain walls. Provided structural steel shop drawings and moment connection calculations for 75 feet long girder built from W24x306 and two (2) W12x336 profiles. Please click here for more information about our services. 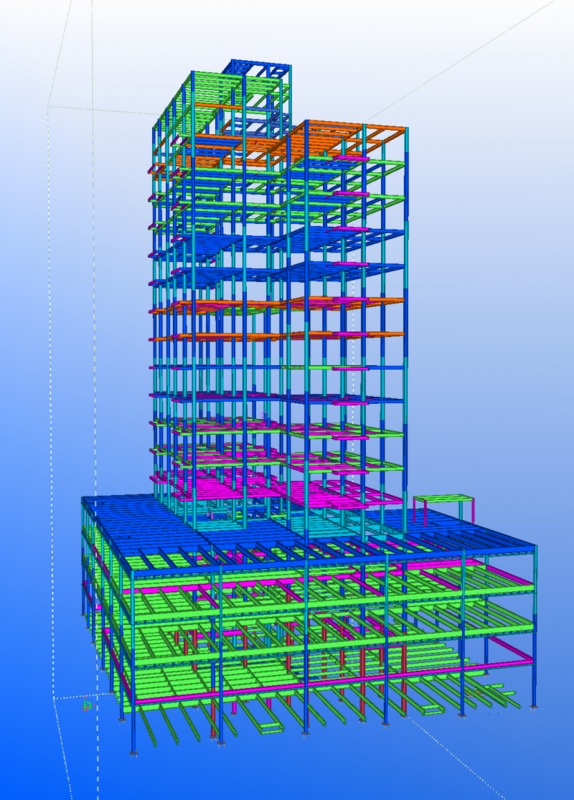 Advanced Detailing Corp (ADC) uses advanced versions of structural steel detailing and structural engineering software. We have successfully completed numerous jobs for new construction, reconstruction, addition, alteration, rehabilitation projects in residential, commercial, public and transportation sectors. Click here to see partial list of projects completed by Advanced Detailing Corp.
ADC can provide a price proposal for any project that you may have. Just forward by e-mail or ship a bid drawing set to our office with clear description of your needs. It is our pleasure and privilege to be of service to your firm.